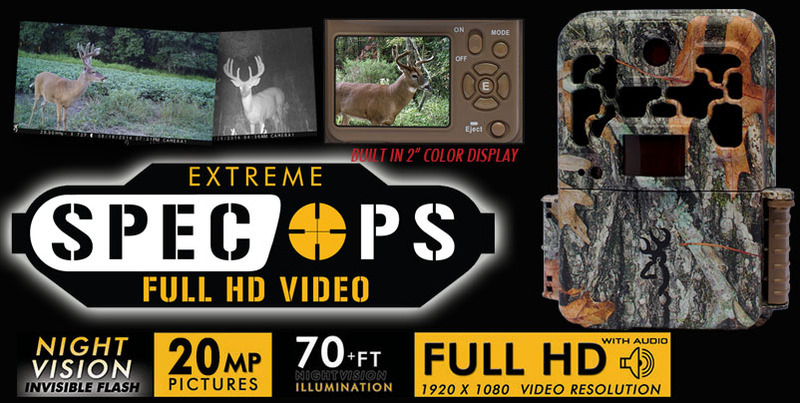 All of our trail cameras capture crisp, clear color images and video of your game during the day. At night, our cameras do not use a bright white flash to illuminate the activity on your property. 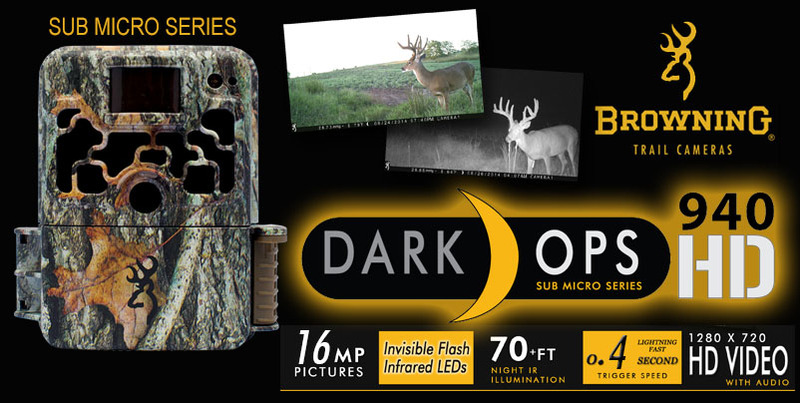 When it gets dark, our advanced IR illumination technology takes over and discretely illuminates game so they do not get spooked by a bright flash. 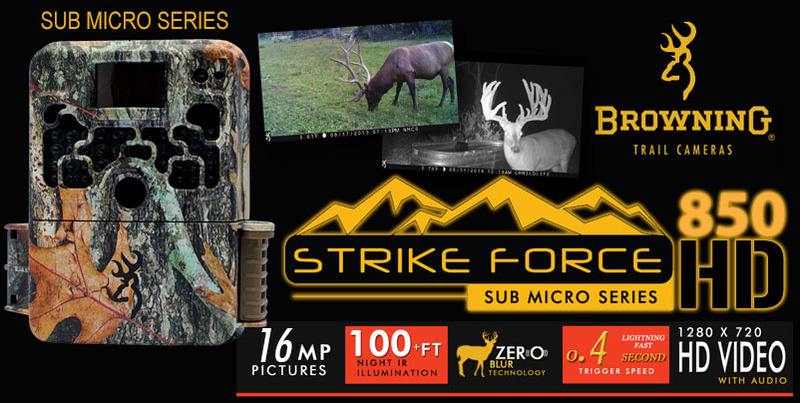 Our night picture quality is the best in the industry offering clear high resolution images of game at distances of more than 65 feet. 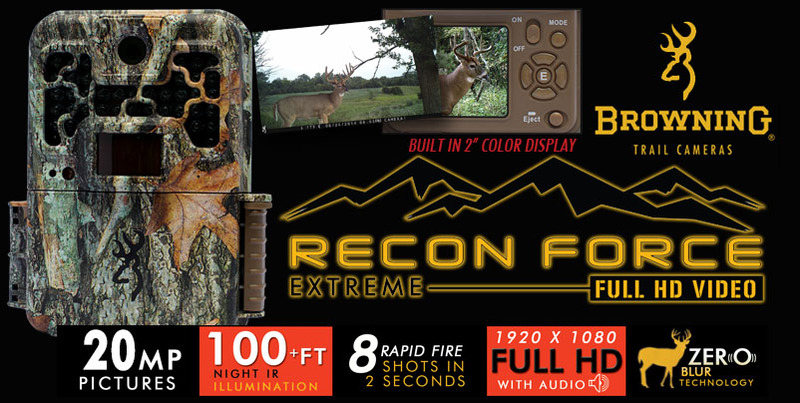 Discover the Browning Trail Camera advantage today! 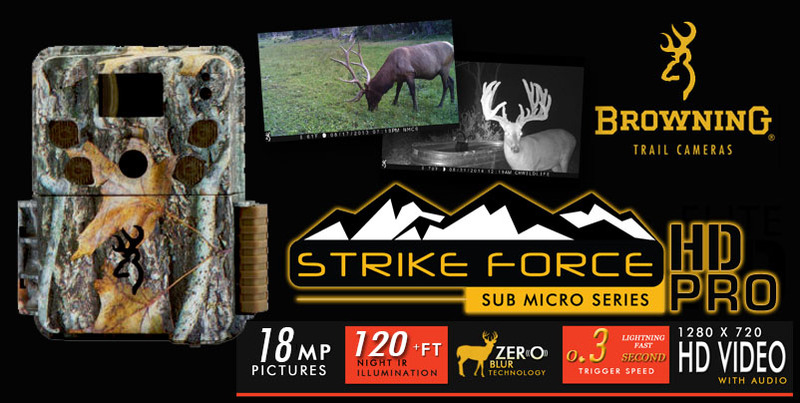 Our full line of trail camera accessories have also been designed by avid outdoorsmen with combined lifetimes of experience in designing, manufacturing an most importantly, using trail cameras in the field. 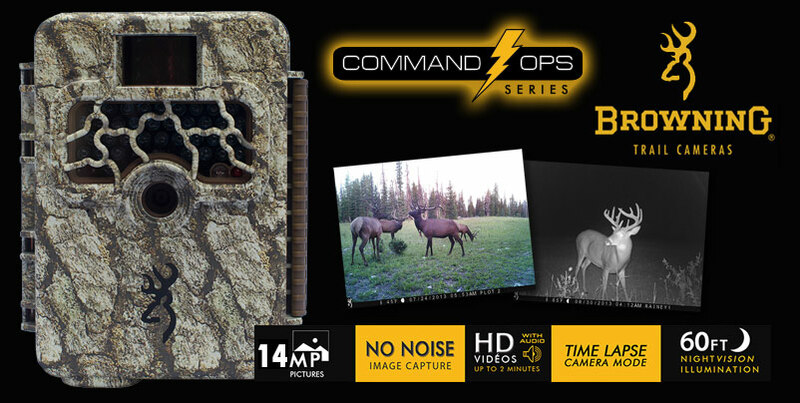 Our experience has led us in the design of custom security boxes and adjustable tree mounts for installing your cameras in the field. 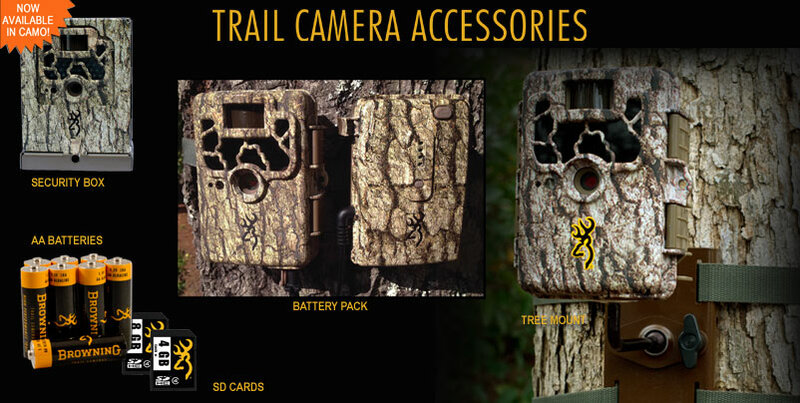 We also offer the best batteries and SD cards for maximum performance from your Browning Trail Cameras.